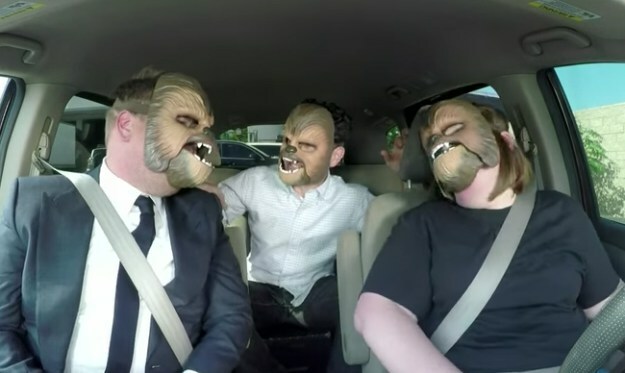 By now, you're probably one of the 140+ million people to have seen the viral Chewbacca Mom video. Last Thursday, Texan stay-at-home mom, Candace Payne, recorded a Live Facebook video in the Kohl's parking lot after purchasing a Chewbacca mask. The purpose of the video was to prove to all her friends that the mask was a birthday gift for herself and not for her children. Her infectious laughter was heard around the globe in mere hours and she proceeded to break the Facebook Live record in just a day, sending her on a whirlwind adventure of a lifetime. “I’d like to say that I bought this for my son that would really, really want it. And let’s be honest, he’ll probably confiscate it from me… He’ll probably take it from me. However, this is mine. At the end of the day, this is mine that I bought and I’m going to keep it for my own!” Candace exclaimed in the video. 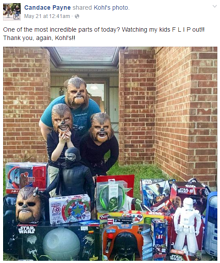 Fortunately for the kids, Kohl's later caught up with the family the following Saturday and gave them all "Chewbacca masks for the whole family (and a little extra too)!" I saw the video early on when it began trending and I watched it with zero context and having no clue what to expect. About a minute in, I found myself grinning ear to ear and by the end I was laughing along with her. I'm so happy this heatwarming story exists and that simple joys can be spread rapidly around the world in our modern age. I felt compelled to share the story with y'all this week because if you haven't seen it yet, it's truly worth your time. Click any of the links above for their respective videos and check out this article for the full story. It's the simple joys in life! 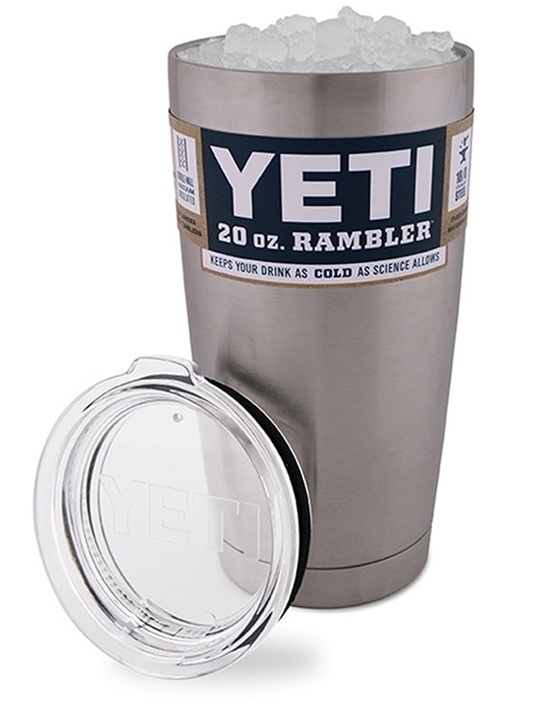 Don't forget to click the giveaway button below and enter to win your very own simple joy with a Yeti 20 oz. Rambler. Happy Electrical Safety Month, y'all! We're planning an electrical safety training webinar with award-winning author, John Kolak, to discuss topics ranging from Lockout/Tagout procedures to occupational safety. John has 38 year experience in the industry and is the president of Praxis Corporation; a company that specializes in Power Systems Engineering & Electrical Safety Training. Stay tuned for upcoming registration information for this live webinar. 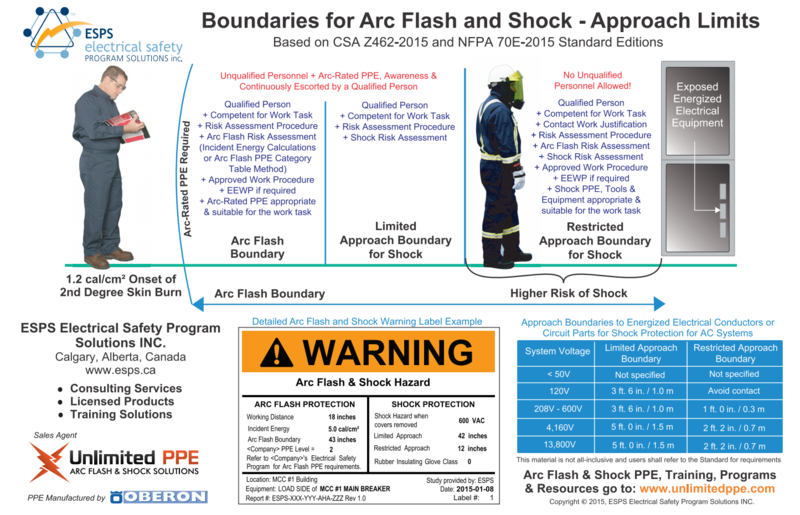 In the meantime, you can check out his whitepaper on OSHA & Arc Flash Hazard Analysis here. Last week's YETI 20 oz. Rambler winner was Gary from Monsanto! Congratulations! We will be shipping them this week to our winners.